"Socialists like to complain that the economy is a fixed pie and if someone gains financially that others must necessarily lose, but that doesn't seem to be the case in reality. 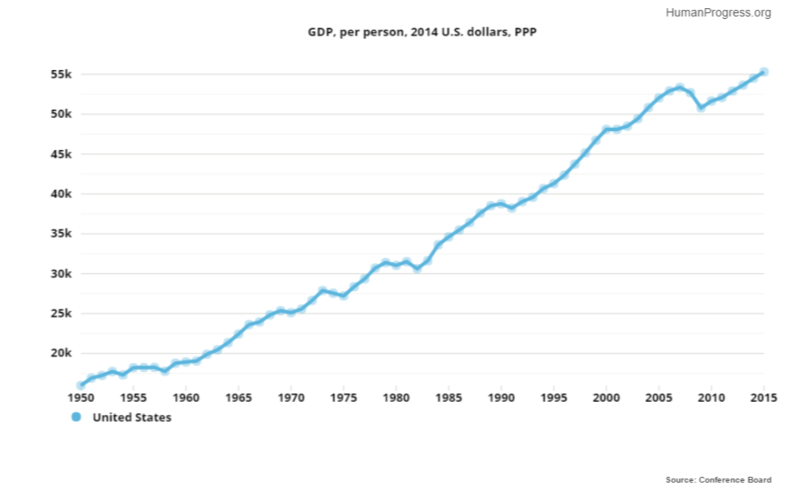 The world is growing in population and the average income for everyone is increasing. This means that the economy isn't a fixed pie. It's an infinite pie."